The time you’ve been waiting patiently for has come! NCECA 2015 Conference Registration is now open! Join us in Providence for our 49th annual meeting. 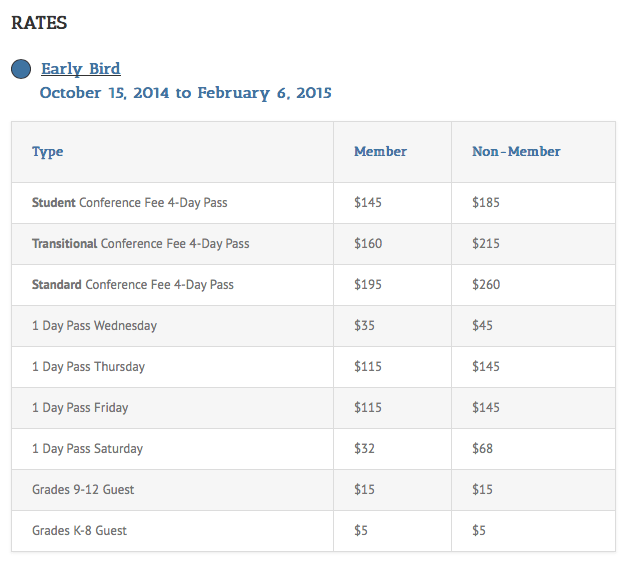 You won’t find a better price than our Early Bird Registration pricing. Check out our packed preliminary program, and you might also look over some of our FAQ. Please note, your membership is separate from your conference registration. Many people find it most convenient to renew their membership when they purchase their conference registration, but it is a separate item you’ll want to add to your registration. And here’s a handy Cindy tip….If you are an avid social media user and are known by a name other than the one your parents gave you, think about filling in the nickname section with something like @iclaygirl on Instagram, then it will print automagically on your badge! So what are you waiting for? Head on over to the NCECA website and register now! Just some of my outdoor work.